Mix and mingle with expats and global minds at this stunning harbourside venue as we return to our favorite outdoor Alfresco venue Tamarind for another social to remember. With one drink and fantastic Thai, Vietnamese, and Indian canapes for all guests, it is a night of absolute harbourside splendour. Mayfare Concepts will also be sponsoring some fantastic gift items and prizes for the lucky draw in the evening, along with other great lucky draw prizes. We also advise all attendees that if you wish to have dinner with friends/colleagues, sample the fantastic foods as we have discounts for all InterNations guests! The food is both very reasonably priced as well as delicious! InterNations HK members can also purchase tickets for the Thursday show at early bird rates on the evening. 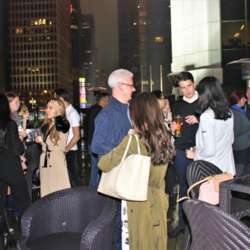 Positioned in front of the beautiful skyline of Hong Kong Island, the setup of Tamarind is contemporary, fashioned in oak, wood, and all things beige and chocolate brown with floor to ceiling windows and a huge Tuscan Terrace. 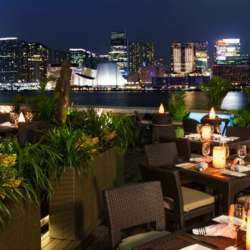 Tamarind brings together exceptional Indian and splendid Thai / Vietnamese / Indian cuisines into one exceptional dining experience, surrounded by spectacular views of Victoria Harbor. The restaurant features an open kitchen, which is designed to showcase the authenticity of the cuisines, where diners can see in full view the freshest ingredients being prepared. It will be an amazing event and we can't wait to see you there!